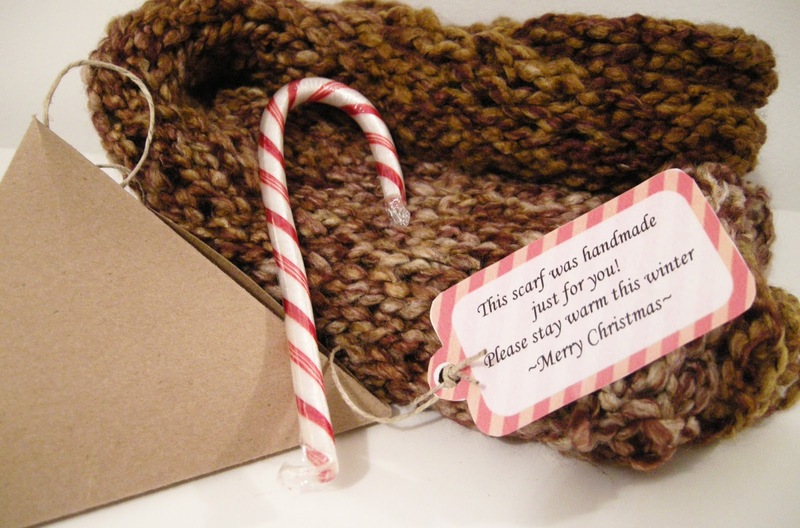 Do you know anyone who had a Christmas baby? Or maybe they're getting ready for the race to have the New Year's Baby? Well, here's the perfect gift for that new little one and a great way to use up those polar fleece scraps you've been saving for something special. 1) Draw and cut out your pattern. I used a circle template to help me but you could use anything round, even a large glass. 2) Fold your polar fleece fabric with wrong sides together. Place pattern on top and cut it out twice. You should have 4 pieces when you're all done. 3) Cut out two pieces of 1/4" wide elastic, 2" long. 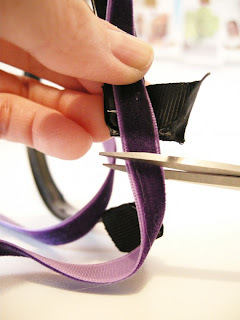 You are going to sew the elastic onto two of your mitten pieces. Measure about 1 1/2" from the bottom. Secure one side of the elastic inside the seam allowance (which will be about 1/4"). Now zigzag across it, pulling the elastic as you go, until you can secure on the other side of the mitten. 4) Place your elasticized mitten, right sides together, on top of one of the non-elasticized mittens, and serge or sew together. I serged mine, cutting off the edge only slightly. 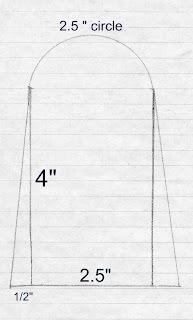 If you're using a sewing machine, try a 1/4" seam allowance. 5) Turn right side out, and voila!, that's it. No thumbs, so they're super duper simple. 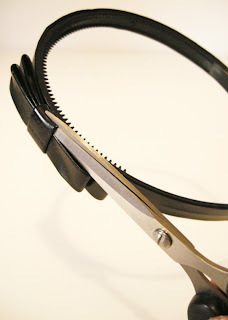 If you have pinking shears you could give the bottom edge a nice finish but one of the great things about polar fleece is that you don't have to hem it if you don't want to. It won't fray! It's probably a good idea to add some sort of braided string that attaches to each of the mitts and loops through the baby coat arms. I think one of the first things that gets left behind is either one mitten or one sock. What do you think? 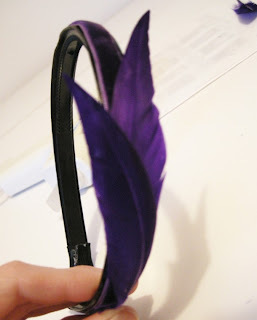 Could these be the next big item in my Etsy shop?!?! 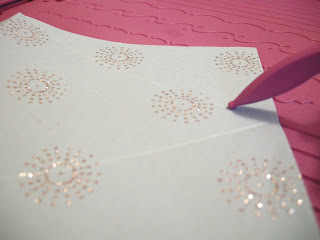 I'll be posting this project at the linky parties throughout the week so make sure to check out the linky tab above and click on a few parties for more fun crafting ideas. 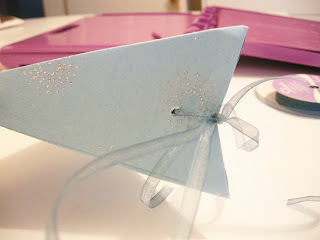 By the way...did you notice that I re-vamped my Inspiration Shot and Show and Tell Pages? I think you'll be able to navigate through them much easier (and I'll be able to update them faster too!). That's it for 2010...Have a Happy 2011! I think deep down I'm still a teenager at heart and anything shiny or sparkly will always catch my gaze and fill my head with visions of princesses, grand balls, and prince charming...or should I say harems, souks, and a handsome maharajah? What do these pretty trinkets bring to your imagination? Well, another holiday season is almost finished. Was all the chaos and hubbub worth it for you? I was very lucky this year and was able to give back to some people who are a little less fortunate. First of all I was able to help serve a Christmas lunch to the homeless last week. It's heart breaking to see just how many people are in need but it sure feels good to give them a good healthy meal. 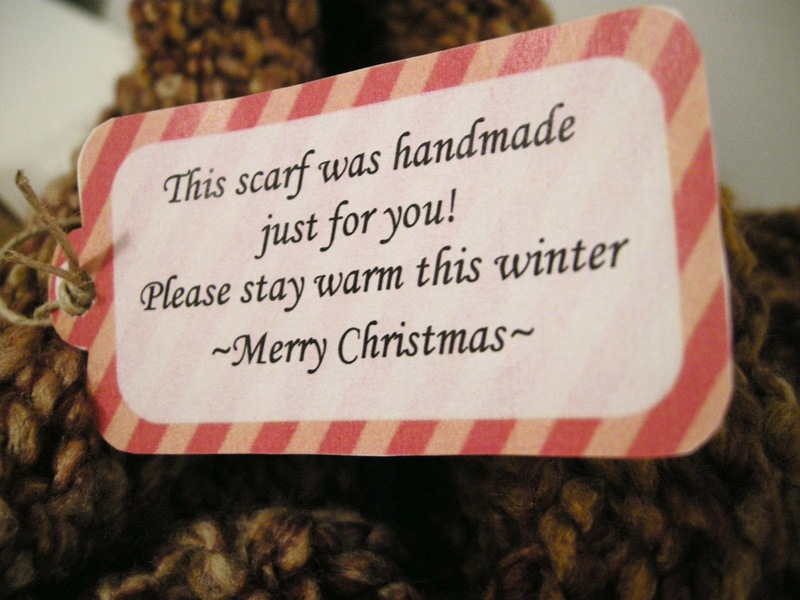 On top of that, if you recall from the Spool Knitting post, I said that I was going to make scarves for the homeless in one of our emergency shelters. I am very happy to say that I followed through. I made everyone a little Santa Sack that I asked be placed outside every one's door in the middle of the night so that they'd be surprised on Christmas morning. Inside each sack was a scarf, a candy cane, and a little handmade gift box with either toiletries or tea. It's not much, but my goal was just to make sure that everyone there knew that they weren't forgotten. And now I can start thinking of what I can do next year to top it! make sure to tell us what you did in the comment box. We can all inspire each other! that you don't have to wait until a special day on the calendar. People appreciate kindness any day of the year. 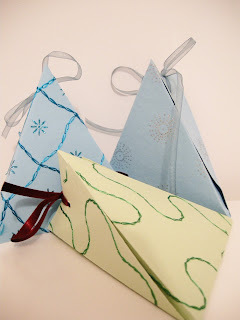 Don't forget to check out the linky parties all week for lots of great ideas to start the new year of crafting! I guess now that Christmas is over the big countdown to New Years Eve has begun. There was a time in my life when New Years Eve was a pretty big deal. For several years in a row I made sure I was someplace amazing and memorable at the stroke of midnight on December 31st. I've mentioned before that I was at the foot of the pyramids in Egypt for the millennium new year, and then in Times Square, New York the following year. I was also at the bow of a huge cruise ship one year, just me the stars, and the water below, sailing into the future. Another was spent at a Buddhist Temple in Japan, ringing a gigantic bell, sending my New Years wishes out to the universe. Not too long after that I moved back to Saskatchewan. And although I do love my country and my province, I have to say that since my return, New Years eve celebrations have been a little less than fascinating. I usually look forward to a comfy night at home, on the couch, with lots of junk food, and lots of reruns of some TV show. This year, I'll probably end up doing the same thing, but I thought why not do it in style? 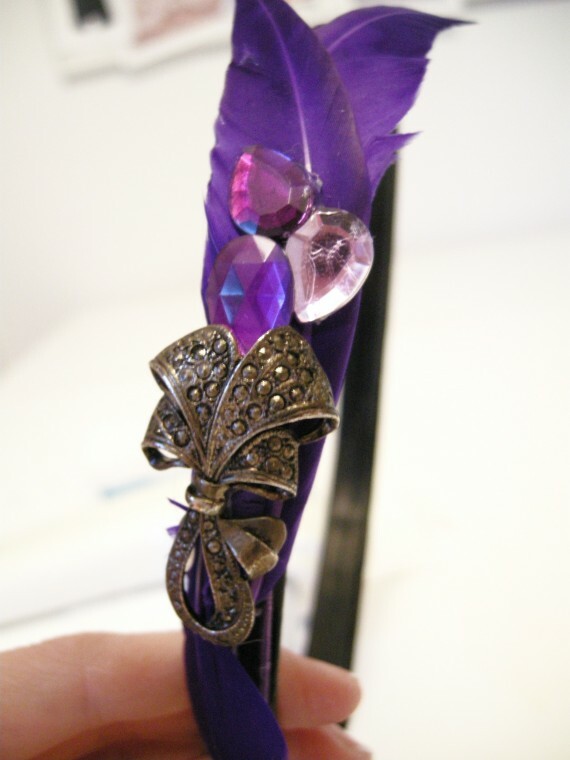 So I made a fascinator. 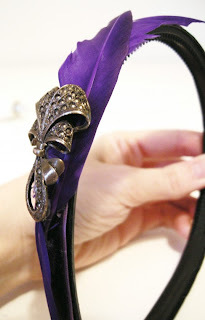 1) Remove any embellishments from your headband. 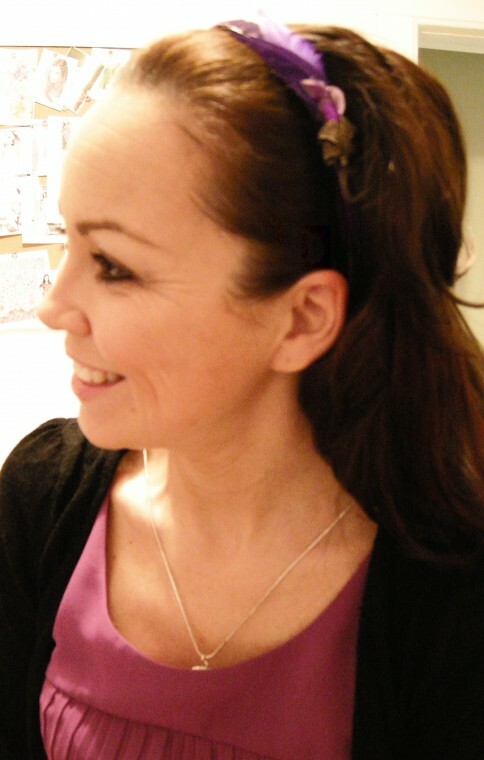 My head band also had some ribbon covering the ends. I only removed the front part because I wanted to glue this back on afterwards. I thought it might help make it more comfortable on my head. Also, don't worry if you're left with a bit of a mess. It's all going to be covered up in the end and no one will even see this. 2) Lay your pretty ribbon across your headband to measure how much you'll need and then cut. Next, use a hot glue gun to glue ribbon to the head band. 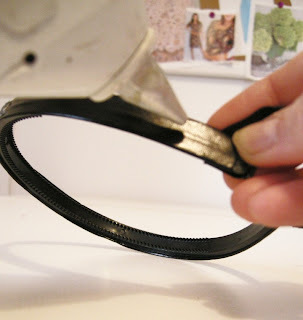 Re-glue or add the ribbon to the ends if you want a softer fit. I wasn't sure this was going to work because the feathers were so stiff and the head band so rounded, but the hot glue did the trick. 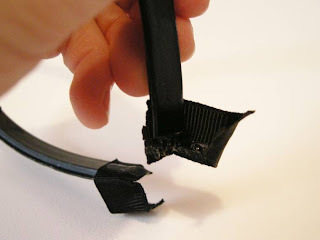 I did end up snipping off the bottom pieces a little bit though. 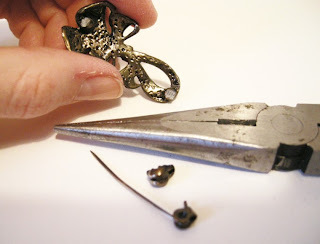 4) Remove the clasp from an old or inexpensive brooch and glue it on top of the feathers. I thought I was done here but I still wasn't happy with it. So I added some little gems that were left over from my Pretty Tacky project. Let everything dry, go get pretty, and top it all off with your fascinator! Now, even if your New Years Eve isn't fascinating, at least you will be! again now that the holidays are almost over. 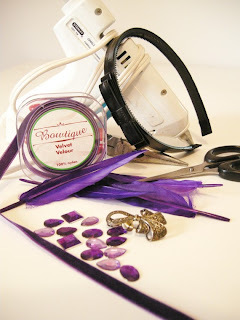 I'll be back next week with some more great crafting tutorials. Until then Mele Kalikimaka ! 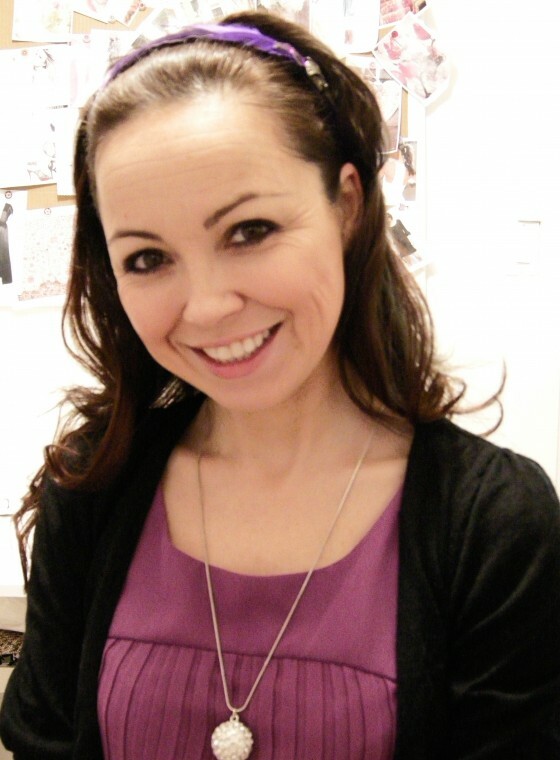 Imagine my surprise today when I found out that Shantel from It's a Priceless Life bestowed upon me the Stylish Blogger Award! So cool! I tried to do a little research to find out where this award originated from but had no luck. 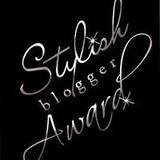 I did find out that the Stylish Blogger Award is given by our blogosphere peers to others who inspire us and make us want to be better bloggers. Also, there are a few rules to follow if you win this honour. Her button isn't working for me so click HERE to check out her blog. #3-Pass the award onto other "undiscovered" bloggers who inspire me and let them know that they've won. There are various blogs out there that say just how many you're supposed to pass it onto. We'll see how far I get. Thank you so much Shantel and to all of you for stopping by and checking out Etcetorize. I hope you have as much fun with the projects and inspiration shots as I do posting them. I made this little project about a year ago after much procrastination. As usual, I have no idea why I waited so long to do it and I absolutely love the way it turned out. I thought the sentiment sort of fit the season and it would be fun to share with you. It's based off of this free Amy Butler pattern from her website. 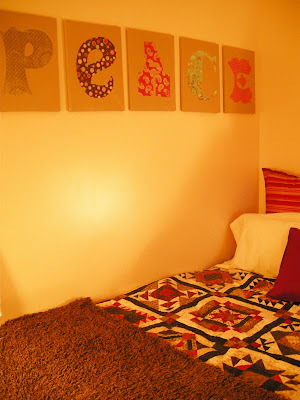 The pattern is actually an applique pattern done in fabric. 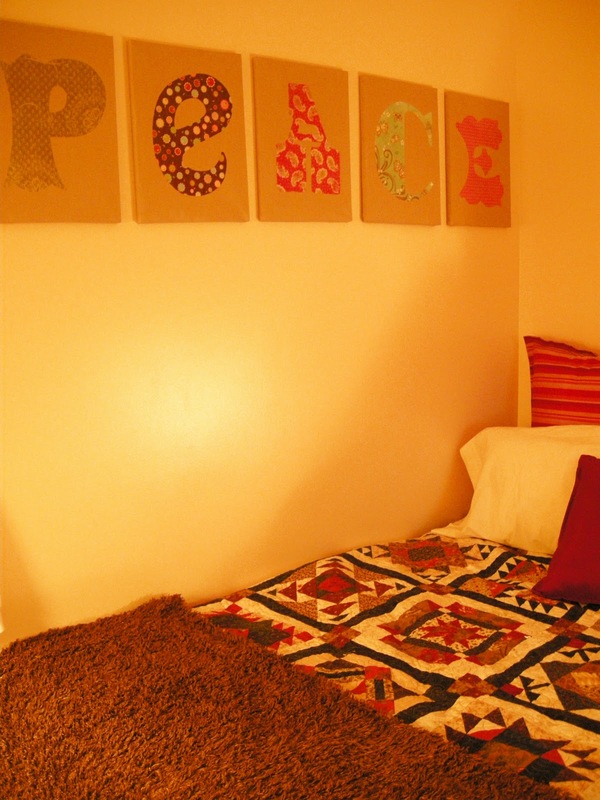 I used 18" X 12" canvases from the dollar store instead and blew up each letter to fit on a 12" X 12" scrap booking paper. After painting the canvases I just cut out each of the letters and mod podged them on. So easy. Right now it hangs over the guest bed (with those amazing little 3M removable strips). 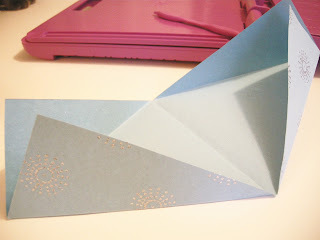 the party tab up top and join a party or two for more great ideas. for my niece and nephew in a smaller version using their names. Once again, I have no idea why I'm procrastinating but I am. One of these days I'll get to it. Less than two weeks left until the big day! Have you wrapped all of your gifts yet or are you still shopping???? 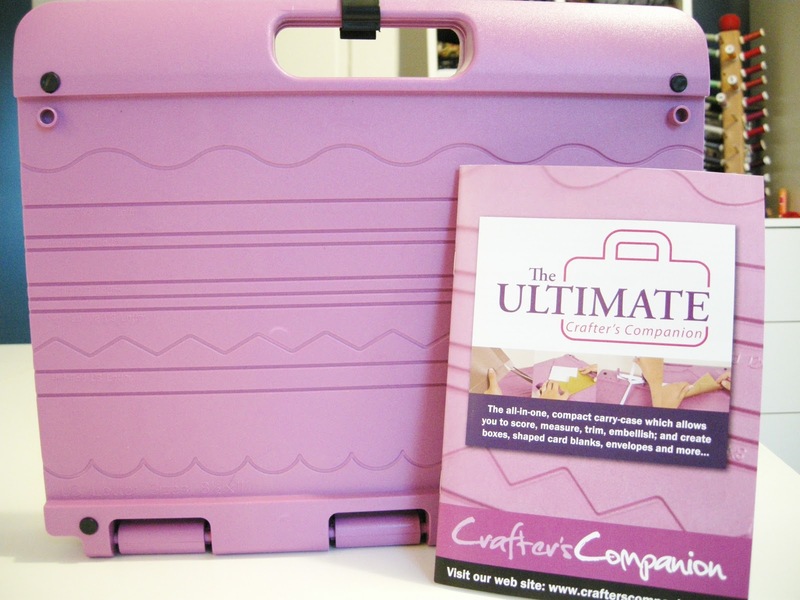 It's called the Ultimate Crafter's Companion. 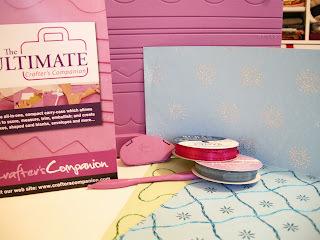 This thing can help you make loads of different kinds of amazing cards and envelopes and boxes, plus you can do all kinds of embossing and scoring. 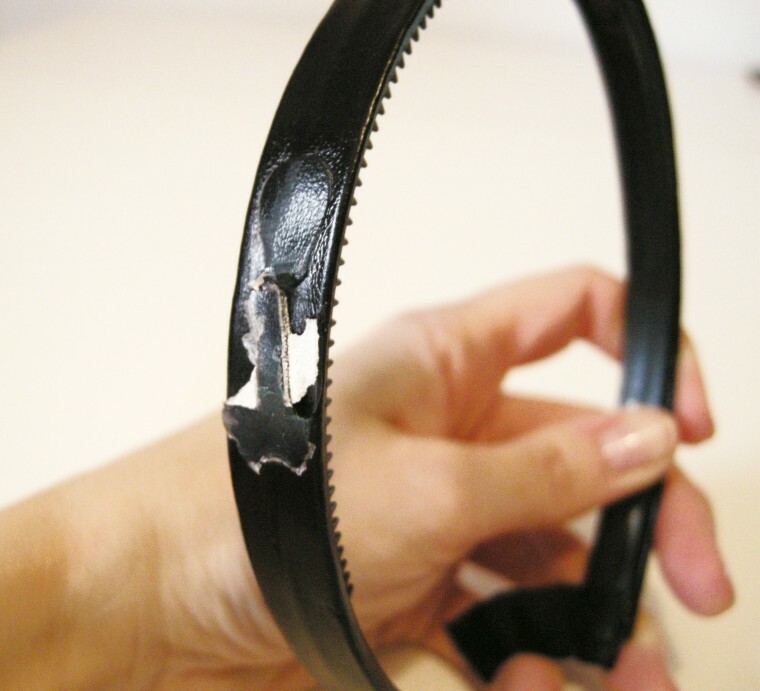 You can even make bows with it! It's incredible. It's also a little overwhelming. This is the first time I've used it since it arrived at my doorstep about three months ago because I didn't really know where to start with it. You don't actually need the Ultimate Crafter's Companion or a bone folder, I just needed an excuse to use mine. 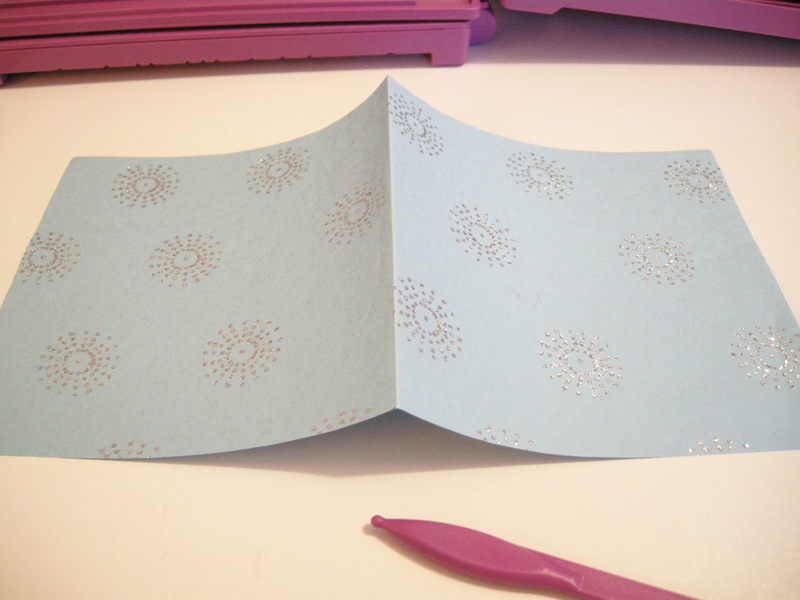 1) Cut your paper into a rectangle. 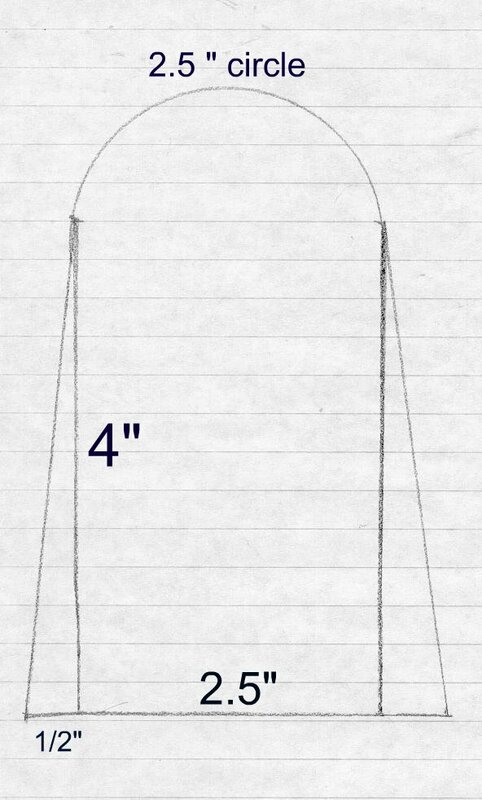 You can use any size but for reference mine is 6" X 12". 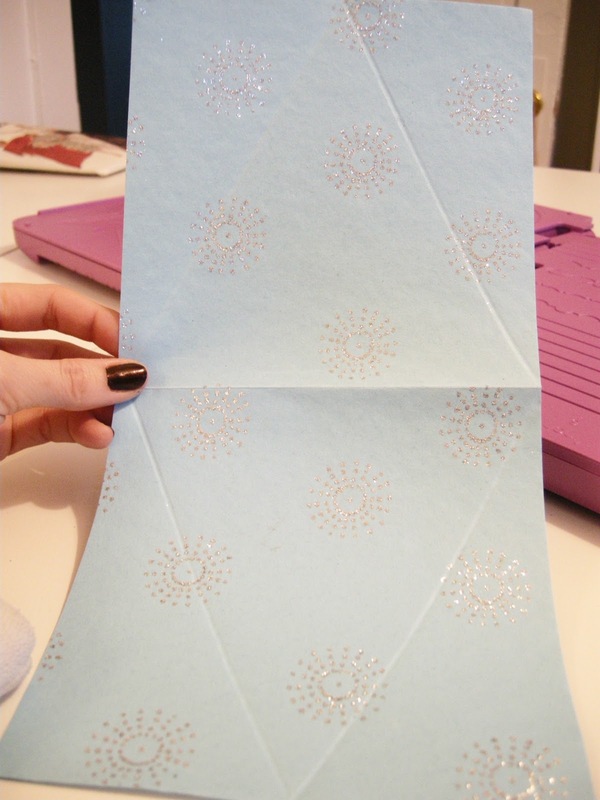 Fold your paper in half across the width. 2) Locate the center of one end of your paper and make a small mark. Now you can score a line from there to the middle fold. (It's actually better to score it on the wrong side of your paper.) Score two lines, one to each corner, creating a triangle. 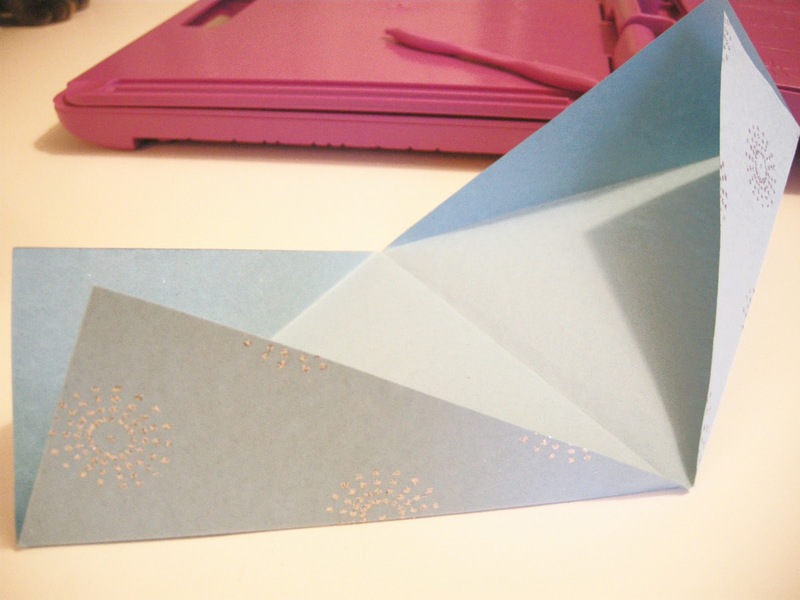 3) Do the exact same thing on the other side of your paper so that you have two triangles. 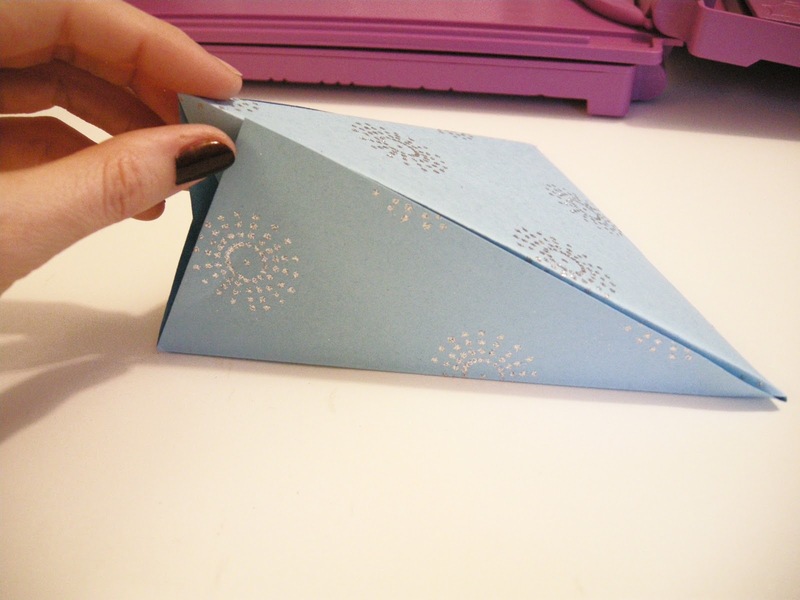 4) Fold your triangle sides up, wrong sides together, towards the centre of your paper along your scored lines. It should sort of look like a boat. 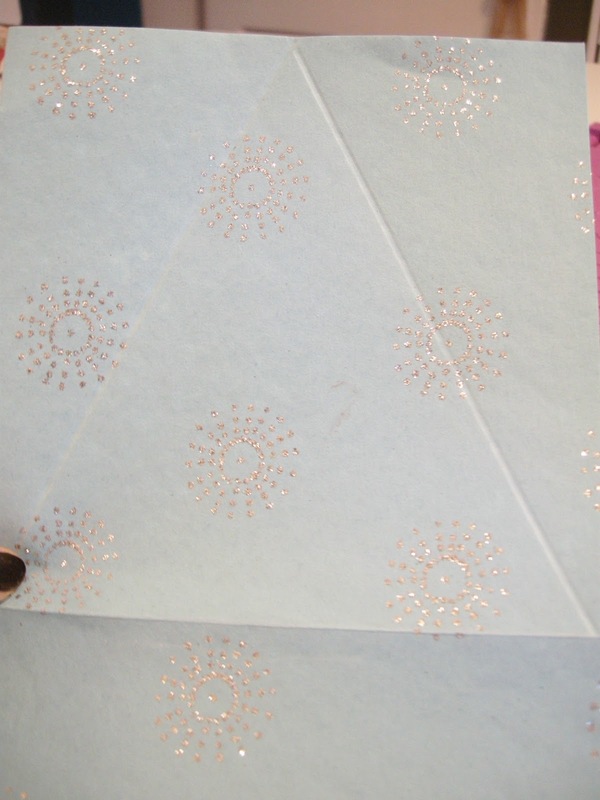 5) Fold inwards on centre fold. 6) Make a small hole through both thicknesses of paper on each side and thread some pretty ribbon through. TAH DAH!!!! Wasn't that easy peasy?!? 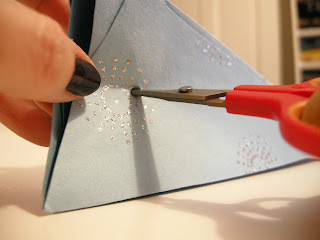 It's already so pretty but you can jazz it up with pretty edges if you have scalloped scissors or punches. You could even use plainer paper and add some embossing to it to personalize it. Let your imagination soar. This little box is so easy and takes almost no time at all to complete but your friends will be impressed with that extra handmade touch. 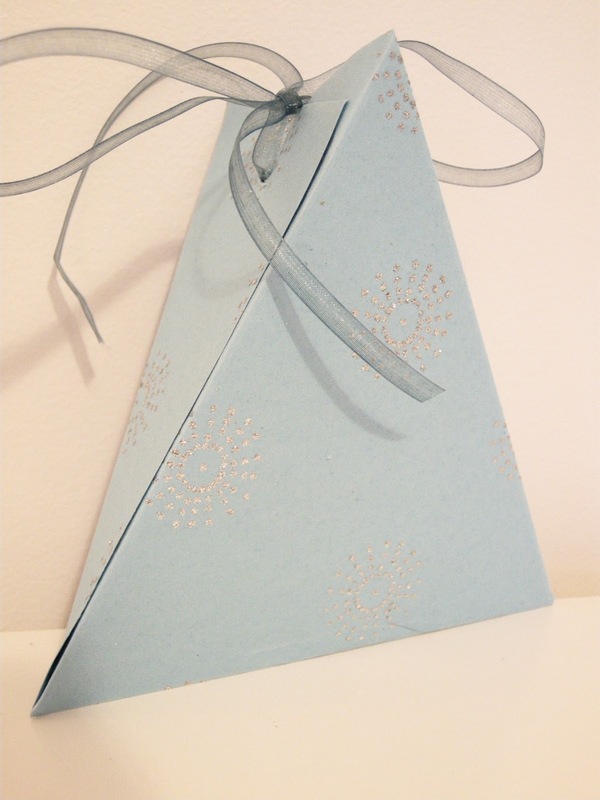 I'm putting gifts inside of mine but am thinking about making some more to give to guests as they leave a small party I'm having this weekend. 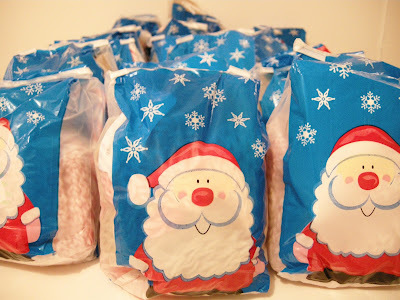 I might fill them up with candies or other Christmas goodies! I hope this is helpful for all of you last minute wrappers out there! Leave a comment and let me know if you have some other ideas for these cute boxes. 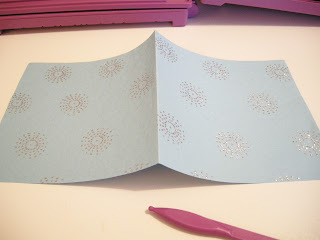 to check out that linky party tab up top to get more great ideas. And while you're up there, if you made something with your Spool Knitter make sure to add it to the Spool Party. Giveaway Winner and a Spool Knitters Linky Party!